CAPE CANAVERAL — A sophisticated communications satellite launches into orbit atop an Atlas 5 rocket Sunday to bring residential high-speed Internet to parts of the U.S. that must look to space for connectivity. Getting EchoStar 19 aloft begins with a ride to super-synchronous transfer orbit atop the United Launch Alliance rocket, departing from Cape Canaveral at 1:27 p.m. EST (1827 GMT). The daily launch window extends for exactly two hours. With a thrust-to-weight ratio of 2-to-1, the million-pound rocket will race off the launch pad on two million pounds of thrust and head eastward toward orbit. EchoStar 19 will used by HughesNet to provide its space-to-home Internet service across North America, enabling the expansion of capacity over the existing network and growth in the number of consumers able to be served. From geosynchronous orbit 22,300 miles high, where it will match the Earth’s rotation and remain parked above one spot on the globe, the EchoStar 19 spacecraft will place spotbeams over the areas needing service. A small rooftop-mounted dish sends and receives signals from the satellite, which in turn communicates with ground stations to route websites, streaming video and e-mail to your home computer. Despite the long distances between you and the satellite and Earth-based network hubs, there is only a fraction of a second delay during transmissions. 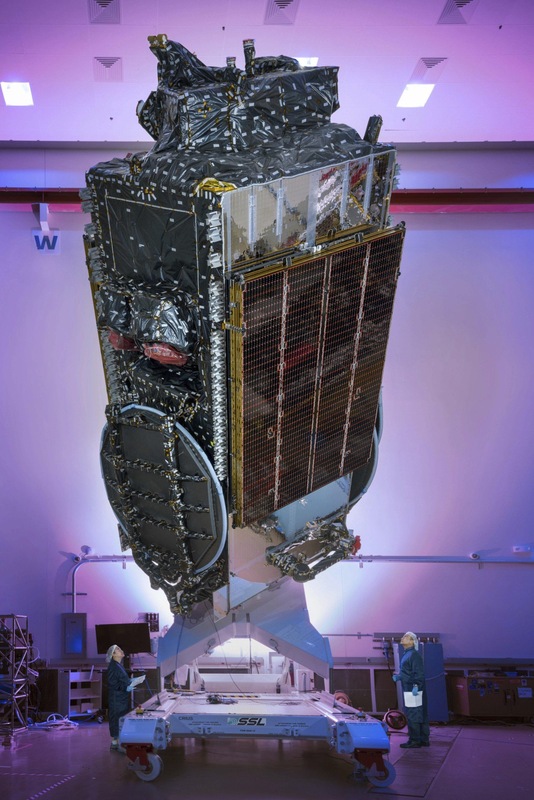 The high-throughput Ka-band EchoStar 19, built by SSL in Palo Alto, California, is the world’s highest capacity broadband satellite, promising to deliver faster speeds, greater data and more advanced features to consumers than earlier craft. 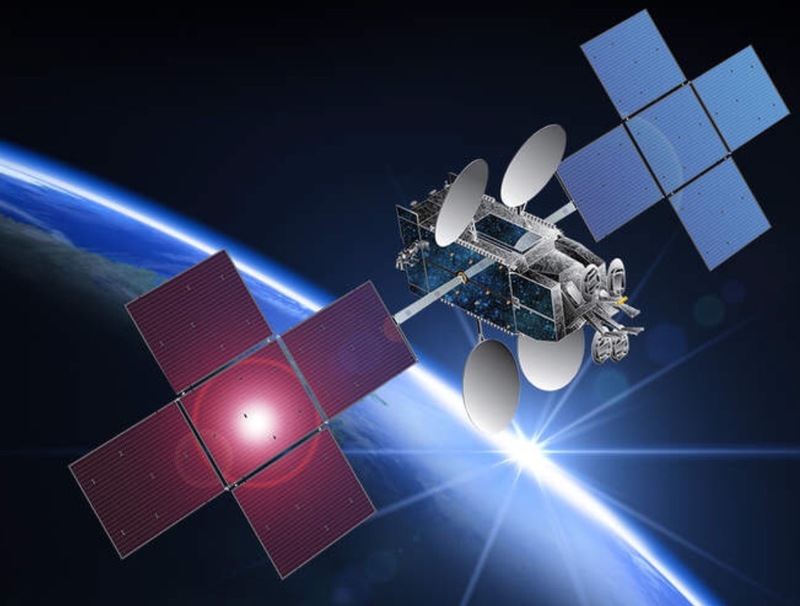 HughesNet currently serves a million customers through its two existing satellites — EchoStar 17 at 107.1 degrees West and Spaceway 3 at 95 degrees West. 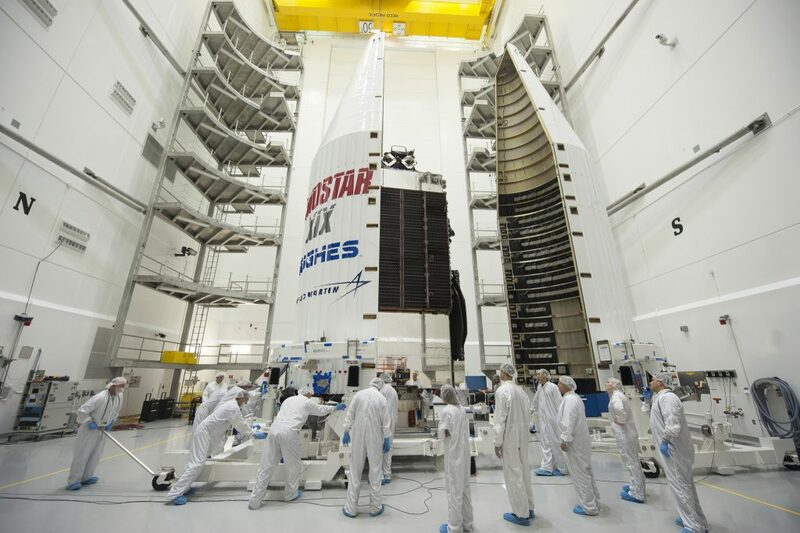 EchoStar 19 will be positioned at 97.1 degrees when it begins service in the first quarter of 2017. “It’ll provide capacity primarily for our consumer business in the U.S. as well as additional capacity in Canada, Mexico and other countries in Central America, and help resume the growth rate of our subscriber base,” Pradman Kaul, the president of Hughes, told investors during a recent teleconference with analysts. The original specification for the satellite, also branded Jupiter 2, was a total capacity of 162 gigabits per second, but officials now expect that the system’s performance will have a total capacity of approximately 220 gigabits per second. “This is obviously very exciting because of the additional subs and revenue that this will support,” Kaul said. “Our North American team is currently developing the new HughesNet Gen5 plans that will be available on EchoStar 19. As you may be aware, subscriber online time and video consumption have continued to increase. And today’s subscribers are looking for faster speeds and higher data caps. Using satellites 22,300 miles away to supply Internet connections is geared to regions where terrestrial networks like cable and fiber are unavailable. “Our target markets will continue to be the geographies not penetrated by cable and fiber, and we believe that the improved service offering will allow us to expand our addressable market of underserved homes,” Kaul said. EchoStar 19 also supports Internet-to-airliners, bringing wifi to passenger jets flying at cruising altitude. The satellite will begin servicing the company’s aero business early next summer. “As part of this launch, we are on schedule for commercial release of our next generation high-speed aero terminal capable of exceeding 200 megabits into each plane. We have already delivered preproduction units to several of our partners for initial testing and advanced integration into their systems,” Kaul said. The Ka-band spacecraft is based on the SSL-1300 satellite design with a 15-year life expectancy. It will have an orbital wingspan of 85 feet once its power-generating solar panels are extended. The EchoStar 19 satellite will generate 138 user beams and 22 gateway beams from its four antennas, according to Bob Buschman, senior vice president of network services and spacecraft programs at Hughes. Getting the 14,914-pound satellite into the desired perch above Earth will use the 431 configuration of the Atlas 5 with three side-mounted boosters and feature two burns by the high-energy Centaur upper stage to raise and shape the orbit to super-synchronous parameters. The highly elliptical target orbit has a low point of 127 miles, a high point of 40,389 miles and inclination of 25.44 degrees. Spacecraft separation is expected 32 minutes after liftoff. The choice of deployment orbit was optimized to use all of the Atlas 5 rocket’s performance and extend the useful life of the EchoStar 19 satellite by using less of its maneuvering fuel to reach the circular geostationary orbit. “It should get us a significant improvement in life over some of the other launchers, just because of the weight of the satellite and so on,” said Mike Dugan, the CEO of EchoStar. “Yes, the variance of the Atlas 5 that we are purchasing is a fairly high performance variance,” added Anders Johnson, president of EchoStar Satellite Services. 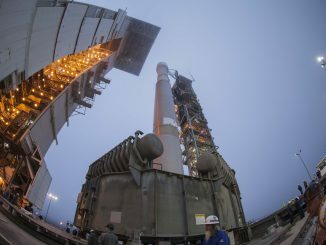 Lockheed Martin Commercial Launch Services, which markets the Atlas 5, is managing the EchoStar 19 deployment. 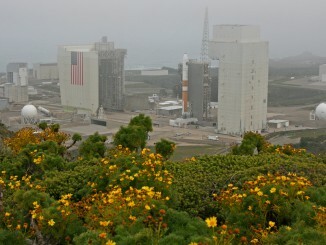 United Launch Alliance built the rocket and will execute the mission for its parent company and commercial customer. EchoStar 19, originally slated for launch atop a European Ariane 5 rocket by Arianespace, was switched to the Atlas 5 to arrange an earlier deployment for HughesNet. Given the craft’s weight and construction schedule, Arianespace could not accommodate the large payload in its late 2016 manifest. The company typically flies two satellites on each launch, but must find compatible pairs that fit the rocket’s lift capabilities. EchoStar officials said the Atlas 5, although having a higher sticker price, would devote all of its power to getting EchoStar 19 into an advantageous orbit and will enable the satellite to start generating revenue sooner than Ariane 5 could have allowed. “It drives a higher initial cost for the launch vehicle itself. It does yield savings on the insurance side. And when putting the context of our overall business plan with regards to Echo 19, it was a smart decision for us,” Dave Rayner, EchoStar’s chief financial officer, told investors. It will be the fifth EchoStar satellite launched by the Atlas family of rockets in the past two decades. 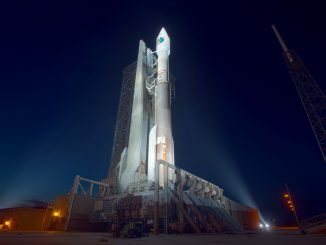 It also marks the 650th flight of an Atlas vehicle since 1957, the 355th Atlas launch from Cape Canaveral and the 68th mission by an Atlas 5. 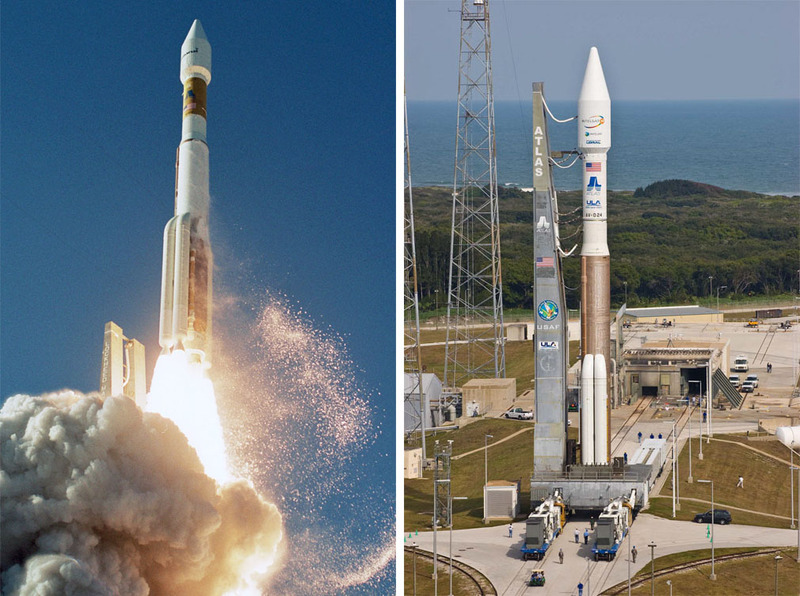 For United Launch Alliance, it will cap 2016 with the company’s 12th and final mission of the year and the 115th in the 120 months that the company has been in service.